Welcome to Fly-Carpin's fly fishing for carp guide directory. To find a guide or outfitter just choose a state from the map below. States colored orange have at least one fly fishing for carp guide identified. 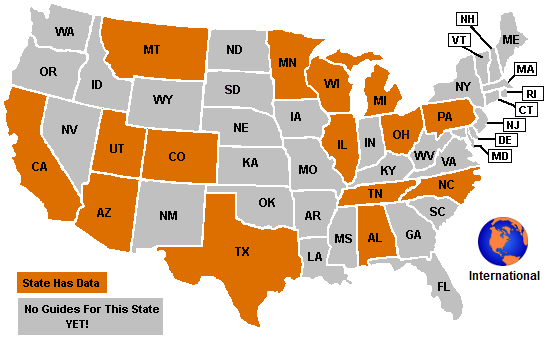 States colored gray have not been populated with guides YET - be the first! To join the directory contact me. As long as you are a fly fishing for carp guide or outfitter it is completely free.